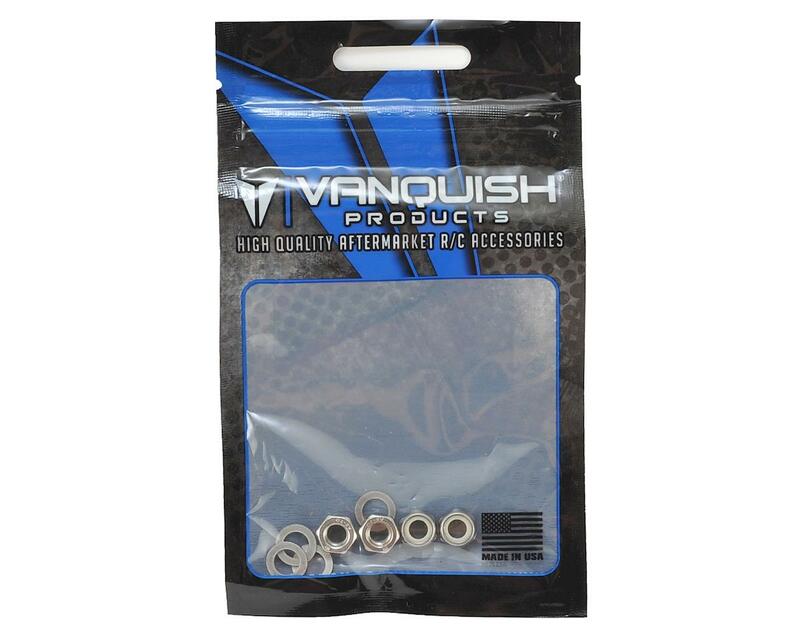 Vanquish VXD Universal 5mm Nylon Locking Wheel Nuts are compatible with any axle that uses a 5mm thread (such as Losi Baja Rey, Losi Rock Rey, Vanquish VXD, etc). 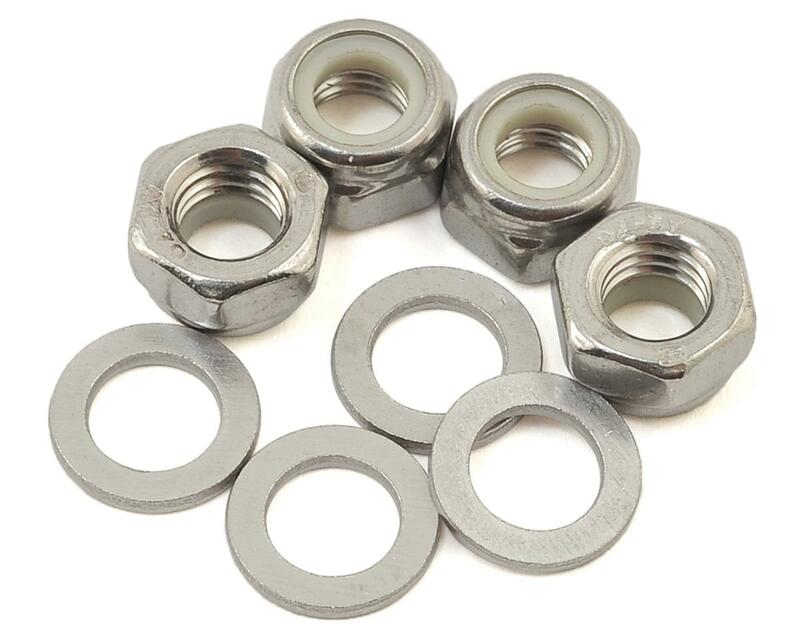 This locknut will clear the inside of a SLW hub without modification. A thin wall 8mm nut driver is needed for installation, such as VPS07100. Package includes four nuts. NOTE: This is not for use with factory Axial axle shafts or Vanquish axles that use a 4mm stub axle (such as all VVD's and VDI's). I ordered two sets of these.ive been through all of them.i don't re use them, because you can't.they come loose after about 10 minutes of driving...which has resulted in 2 ruined hexes on my wheels... expensive lesson.they won't stay tight.